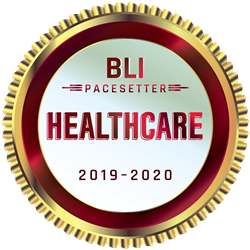 Keypoint Intelligence - Buyers Lab (BLI), the world’s leading independent evaluator of document imaging software, hardware, and services, today announced the recipients of its BLI PaceSetter awards for the Healthcare vertical. Healthcare providers at every level face mounting pressure to improve care and reduce medical errors, adhere to strict patient-privacy mandates, ensure security and regulatory compliance, move from paper records to electronic ones, and trim costs wherever possible. Keypoint Intelligence - Buyers Lab (BLI), the world’s leading independent evaluator of document imaging software, hardware, and services, today announced the recipients of its BLI PaceSetter awards for the Healthcare vertical. Based on research conducted in the North American market, these accolades recognize those document imaging OEMs that have proven that they offer the hardware and software portfolios, professional services, support, and thought leadership to best serve healthcare customers.